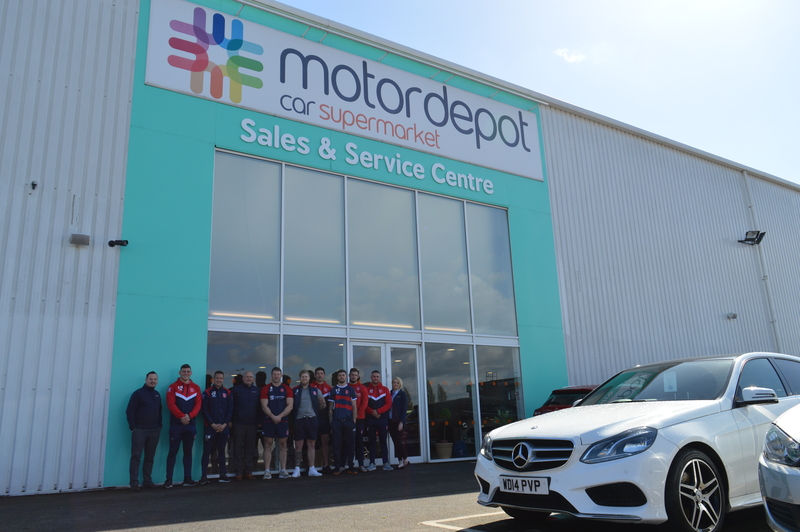 Motordepot Car Supermarket are pleased to announce a partnership agreement with Hull Kingston Rovers to become the main shirt sponsor for the 2019 season. As part of the agreed deal, the leading car supermarket will also become the club’s shirt sponsor for the Magic Weekend clash with Hull FC in Newcastle later this month, taking pride of place on Hull KR’s limited edition charity shirt for the game at St James’ Park. Motordepot have a long held association with Hull Kingston Rovers through varying forms of sponsorship such as advertising boards, back of shirt sponsorship, player sponsorship and even supplying cars for players. Managing Director Steve Butterley explained the decision to take Motordepot’s involvement with the Robins to the next level. He said: “Becoming the main shirt sponsor is a significant step for Motordepot as a brand and we’re delighted to be working side by side with Rovers to both increase our own profile amongst rugby league fans and help Rovers increase their reach amongst our national customer base. Motordepot now in its 16th year of operation was established in 2002 by current owner Phil Wilkinson with one retail site on Clarence Street and a handful of staff. It now has branches in Birmingham, Grimsby, Hull, Hessle, Newcastle, Scunthorpe and Worksop. Significant growth in recent years has seen employee numbers surpass the 300 mark with car sales expected to exceed 25,000 this year alone. 2017 saw Motordepot become one of the top 10 largest independent car dealers in the UK according to industry leading magazine Motortrader. In addition Motordepot was one of the top 100 fastest growing companies in Yorkshire in 2017. The coming months will see further expansion with the opening of a purpose-built 400 vehicle retail site in Barnsley, coupled with a four-acre, 40-ramp vehicle preparation centre in Goole, which in itself is anticipated to create up to 100 new jobs for the region. Motordepot prides itself on providing an exceptional customer experience, in a relaxed and friendly environment with access to over 3000 cars in group stock on the company’s website. As part of its link up with Hull KR Motordepot will be launching a series of competitions for Rovers supporters over the coming weeks, including the chance to win tickets to the Magic Weekend and a chauffeur driven service to take the lucky winner up to Newcastle, plus additional opportunities to win signed 2018 charity shirts featuring the Motordepot brand. Hull Kingston Rovers CEO Mike Smith said: “This is a fantastic opportunity for the club to link up with a major business partner in Motordepot and one which is very proud of its connections to the east Hull community and the club in particular. “We’ve had the pleasure of working with them on several occasions over the years in various sponsorship capacities, but the step up to becoming our main shirt sponsor from 2019 is both new and tremendously exciting for both parties. “As part of this new partnership, they’re going to be working with us very closely straight away, by featuring on the front of our charity shirt at the Magic Weekend and engaging with supporters with various offers, promotions and competitions.